Interfaith Marriages… The Real Story. Leave alone inter-faith marriages, in India inter-caste marriages are treated with much anxiety and a hostile outlook. It is a social taboo to marry out of your caste or religion. Talking about the Kashmir, a more backward area or India, where terrorism has made the life slow and dull, where development is a miss, the culture of inter-faith marriages is not yet accepted. We Indians are not so westernised that we would allow our children to marry whom-so-ever they want. We have special respect for our religion and want to keep our relations confined to own religion. From Kashmir the Hindus have already been forced to move out, they know live in exile suffering from a mass exodus. The cases of interfaith marriages are seen once in a blue moon. There have been some very interesting personalities which are exemplary in this segment. Omar Abdullah, the CM of the state has married a Hindu girl, Payal Nath. From the same family Omar Abdullah’s Sister Sarah Abdullah has married a Hindu boy, Sachin Pilot. The lesser Known tales of misfortune!! Similarly one Amina Yusuf of Kashmir and Rajnish Sharma of Jammu fell in love eight years ago in Gulmarg, they dreamt of a new life and a new Kashmir. By Amina’s own admission before the Jammu police and the media, the couple went on to marry against the wishes of the families and the diktats of their community leaders. But they could live together only for a few days. Rajnish was booked on the charge of kidnapping and forcibly marrying the 26-year-old Amina, aka Anchal Sharma post marriage. He was “picked up” by the cops on September 29 and found dead in the Srinagar police’s custody on October 4. `A judicial investigation is on in the case. Amina, after living with her in-laws for three months, returned to her parents’ house. Talking to a senior police officer in this concern, he said that, “No community here wants its members to join another community after marriage. The community members fear that one by one, their numbers will dwindle and the demographic change can affect the separatist demand. Interestingly, parents don’t mind if their son brings a girl from another community and converts her. But when it comes to their daughters marrying outside the community, there is violence and bloodshed,” says former DGP M.M. Khajuria. “What wrong did we do?” asks Shabnam with her husband Ravi Sharma (names changed) holding her hand tightly in their two-room rented house in the city. “We are both working in a multinational company. We liked each other, respect each other’s religion and told our parents of our decision to marry. But there was a volcano of a protest. We had no option but to elope. We got married but were caught. He was booked for kidnapping but the court came to our rescue. Now, we are living happily,” she says. Some even take the fight up to the Supreme Court. The case of a Muslim girl from Doda and a Hindu youth from Nagrota is a case in point. The apex court provided security to this love-lorn couple, hounded by relatives and cops. Anjum, 19, a Muslim from Doda, and Khemraj, 24, a Hindu from Nagrota, both belong to influential families. They are reportedly living in hiding. Conversion after marriage becomes the main issue. The DGP remembers how a Sikh girl despite marrying a Muslim in England spent a torturous life for years. She wanted to follow her religion but there was opposition. She pulled along for a few years. But when it came to the children’s religion, she left the family. That’s not the end, several cases go unreported, several are muted for the fear of insult and shame. ← 2 States, the story of my marriage. Oh dear very nice speech…. How conveniently you advocated hindus marrying muslim girls and even presented some examples and proved them innocent as well. What if the scenario is reversed ,muslim marrying hindu girl. Does india turn into a bed of roses for muslims? Salman who fell in love with Akriti in Kolkata was butchered in day light on busy road of the city. Police refused to file the case as Salman was,according to them, a gangster and was murdered by his fellow gangsters. Ziauddin of Ahmedabad who married Aadhira was arrested by police under kidnapping charges and was found dead in the outskirts of the city. I can report dozens of such cases where muslims faced stereotype treatment just because of their religion. But muslims never did what hindus do to them. So please be justful and present actual picture of the situation. I have no problem with interfaith marriages and same do i expect from hindus. Dear… I agree with you… this is just the case of J&K state… i dont know about other states.. there is a lot which due to my ignorance got neglected..
but which i have brought forward is the condition of the state.. in which i live..
As far as my suggestion is concerned, this article is mere a vicious attempt to encourage muslim girls to marry hindus/sikh guys and discourage hindu/sikh girls from marrying muslim males. Let’s talk about J&K,your state. The population distribution of J&K is 64.2 % muslims,32.2 % hindus and the rest 3.6 % representing the buddhists, sikhs,christians and jains combined. Now let’s elaborate these figures in a fashion relevant to our discussion. If any of the girls in the state wants to marry,there is 64.2 % chance that she will go for a muslim,32.2% for hindu and 3.6% for a guy from other faiths. This is the truth but your article projects the opposite.case. You highlighted the 32.2% probability and ignored the most probable,64.2% chance altogether. Twisting the facts and fabricating the figures,let me know if it was deliberately, is surely unacceptable to us muslims. Go out to muslim majority areas of the state,explore the people over there and i assure you won’t need a microscope to find the youth who loved females from hindu/sikh backgrounds but were unsuccessful in achieving their love because of the intimidation/life threat from female’s family and relatives. Pick those cases and give them a place in your article as well to make us feel that you are not inclined to a particular faith/religion. If the objective of the article was to highlight the plight of minorities in J&K, then do the same effort for muslim/sikh/christian minority in rest of india to prove yourself a truly unbiased author. I did use some stern words to convey my perception efficiently. If any of those caused you trouble,I take it back and any inconvenience connected therewith is deeply regretted. it was in http://WWW.KASHMIRLIFE.NET the article was one-sided.. only hindu/sikh girls eloping with muslims… this article is just a response to that one… will write the complete article without bias soon..with stories from both side..
can u paste the proper address of this article . i mean one click to article??? 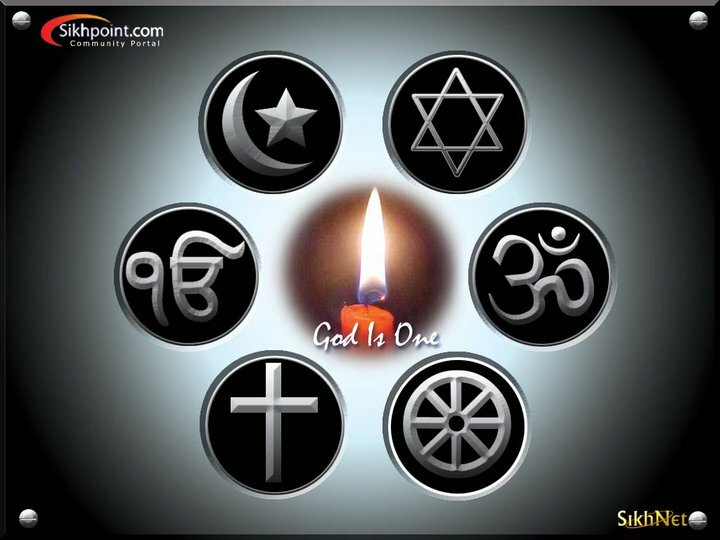 Shakilji u r really grt….n all above a great think tank….yes this is very much needed….anyone can like a person…..do the boys n girls ask….hey whts ur religion??? ?oooh u r Hindu then let’s fall in love…oooh u r Muslim then get out….no na??? ?they just love each other….so Mia biwi raazi toh kya karega kaaji???? Who is this Shakilji.. ? ?